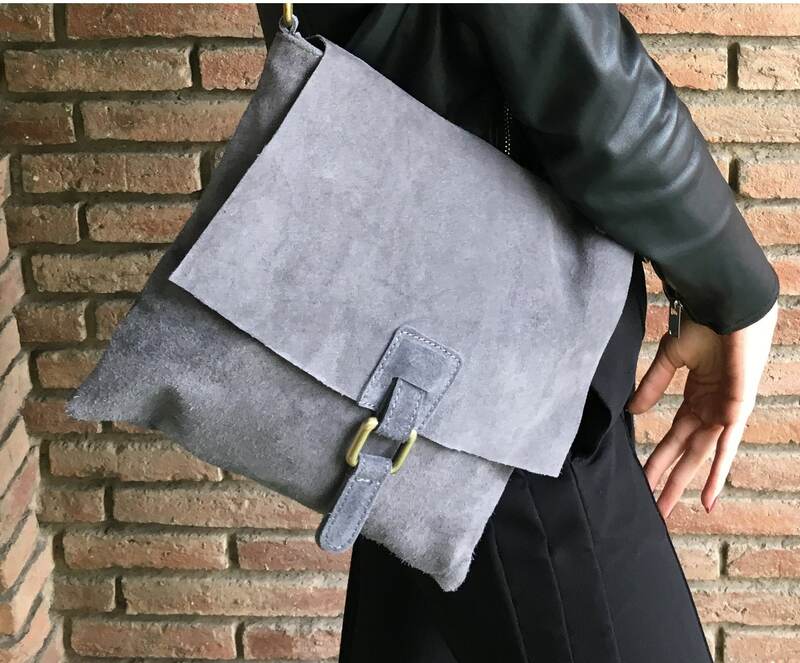 Leather bag in dark GREY. 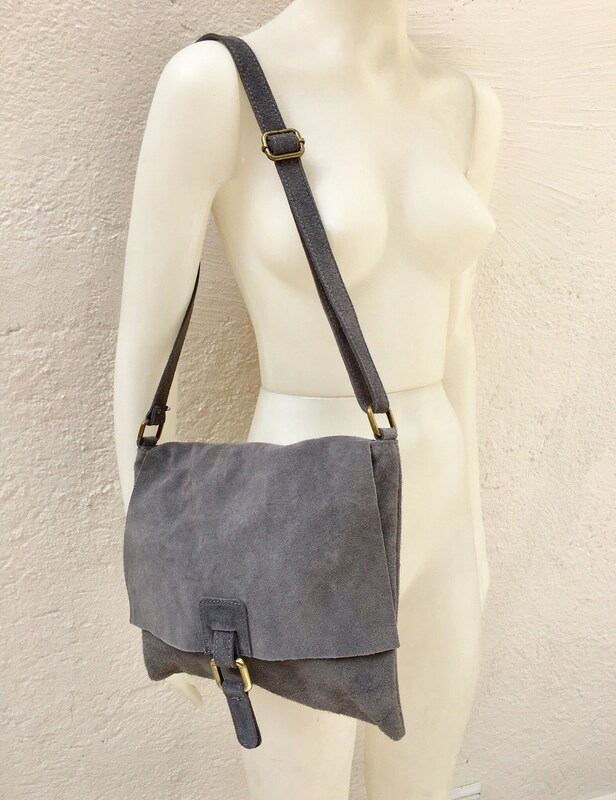 BOHO messenger bag in gray suede. 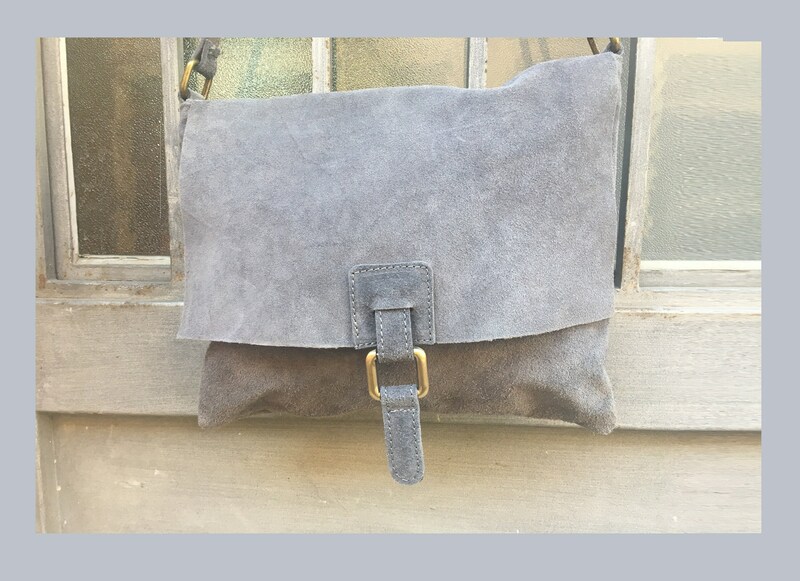 Cross body bag in grey suede. Soft genuine leather bag. School bags, book bag. 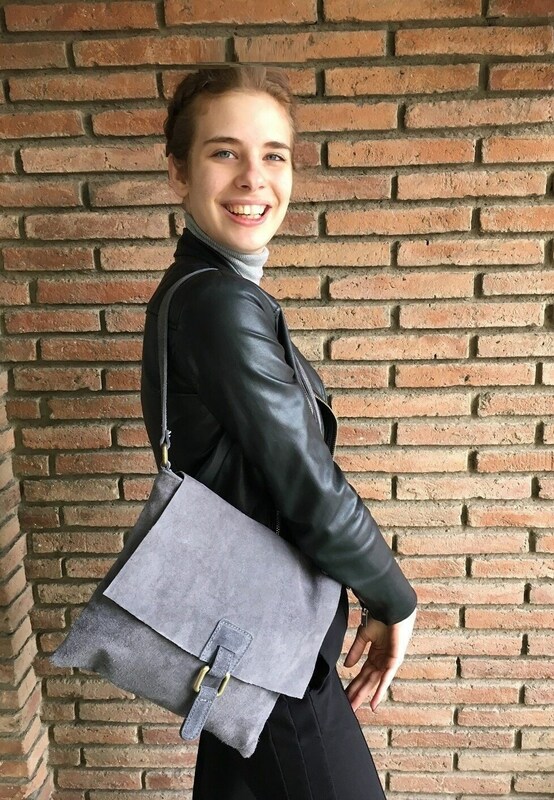 Boho leather bag in DARK GRAY. GENUINE leather. 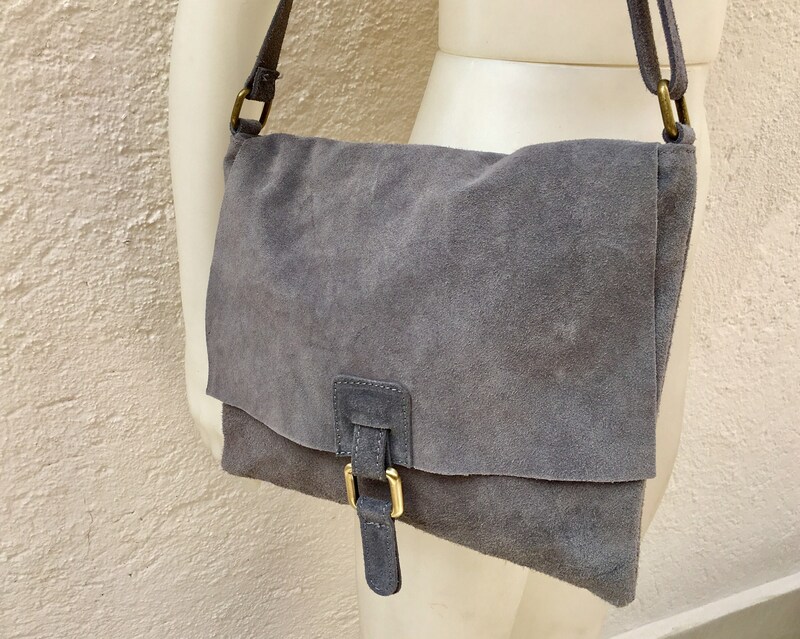 Soft suede leather cross body, shoulder or messenger bag. 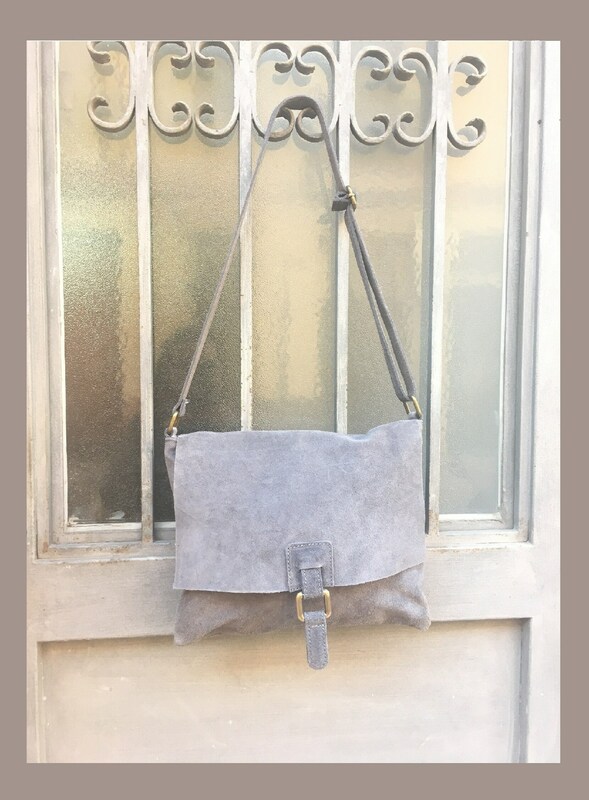 GREY leather bag. Large enough to fit books and tablets. 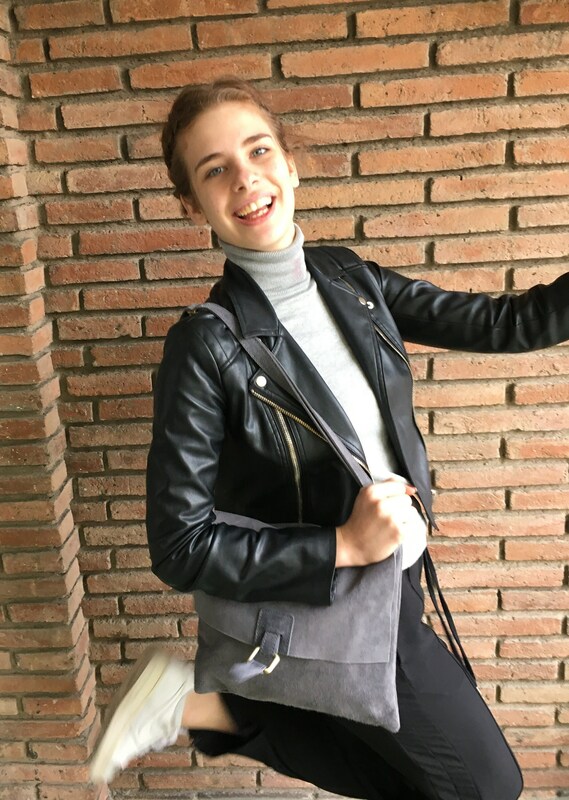 Messenger bag with adjustable genuine suede leather straps, closed by zipper and flap.